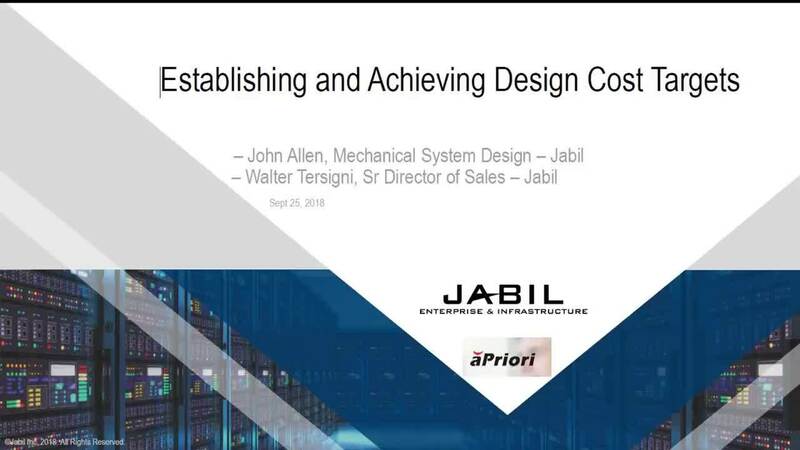 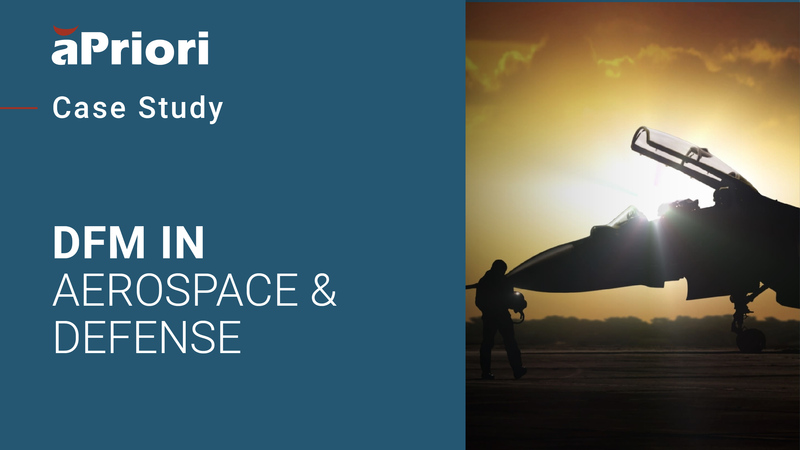 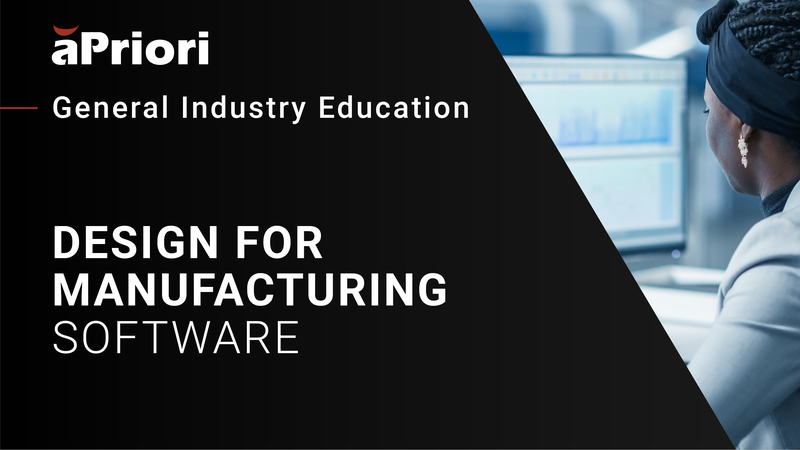 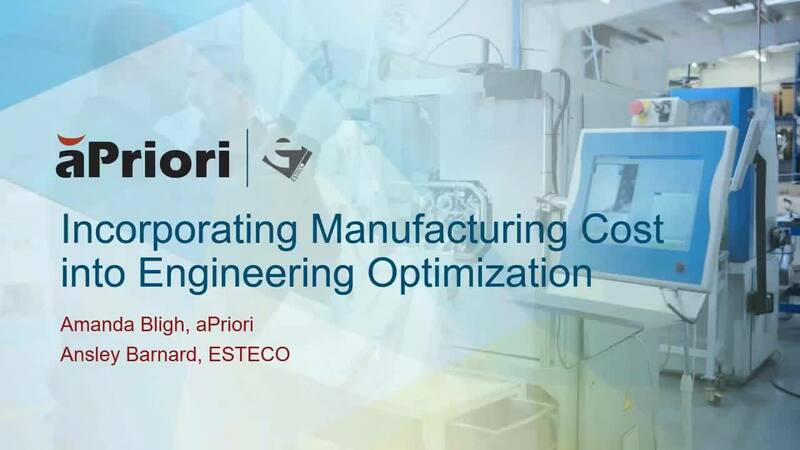 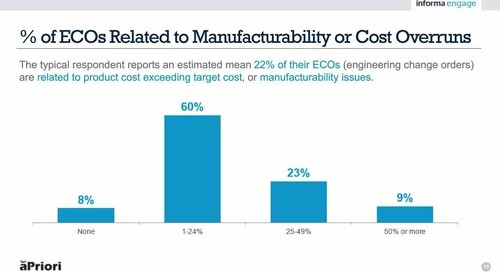 Learn how a Design of Experiments (DoE) that incorporates aPriori into the equation will enable your engineering teams to optimize for Form, Fit and Function AND optimize your designs for Cost. 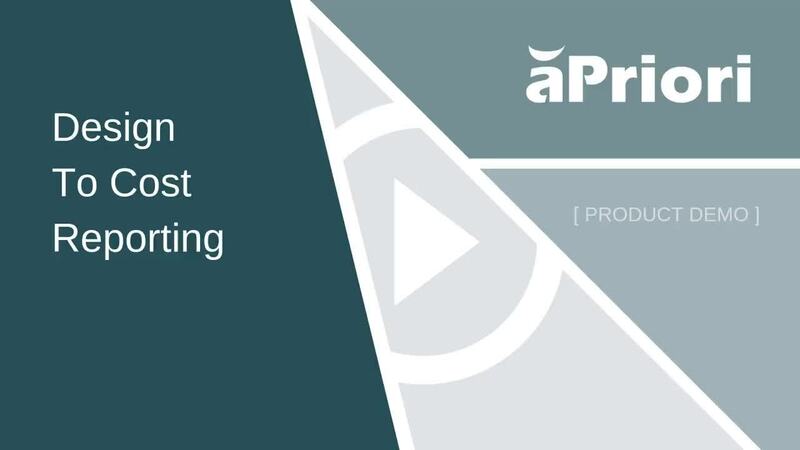 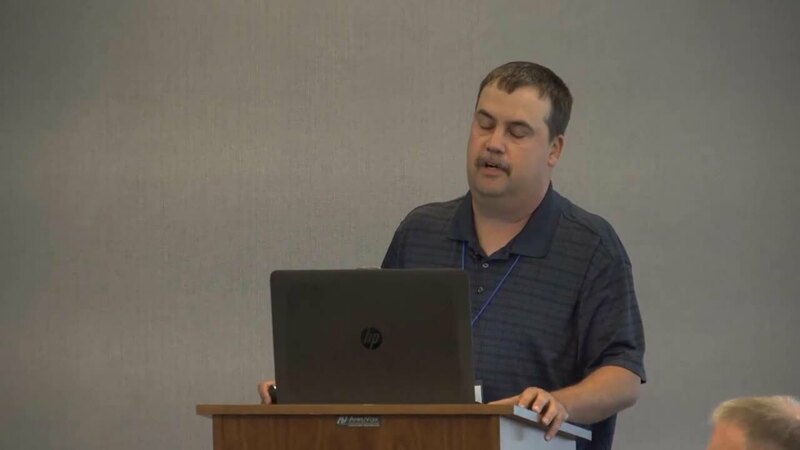 See how to setup a DoE workflow, and what information from aPriori is needed to run a successful DoE. 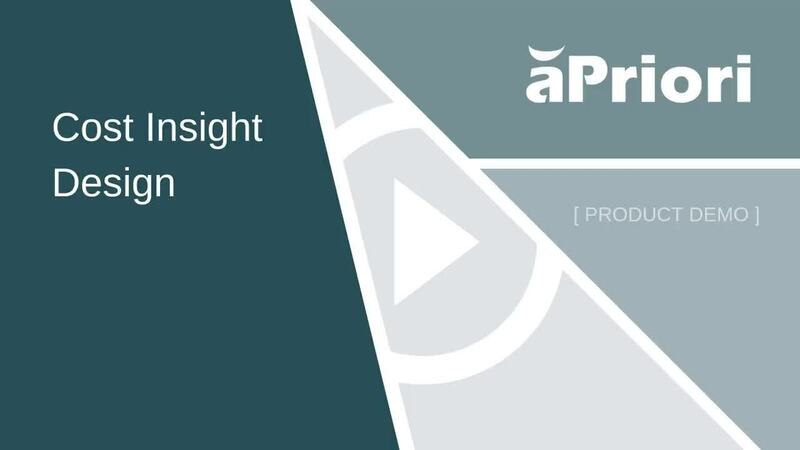 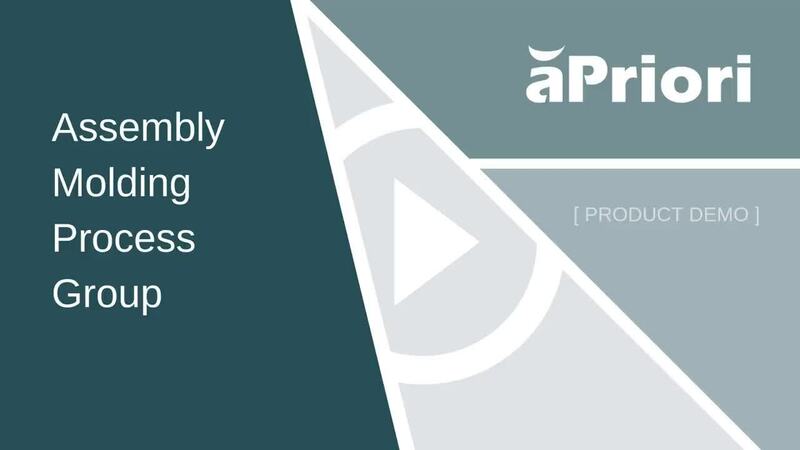 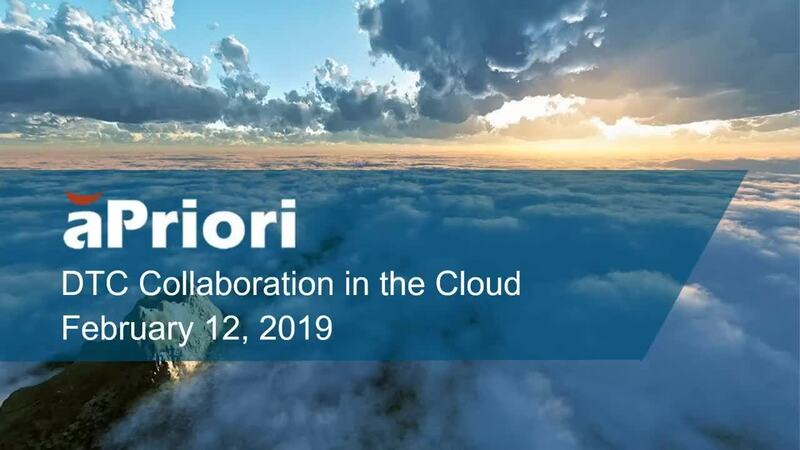 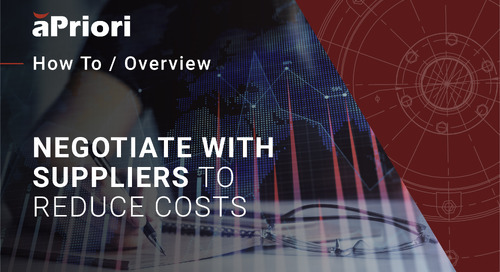 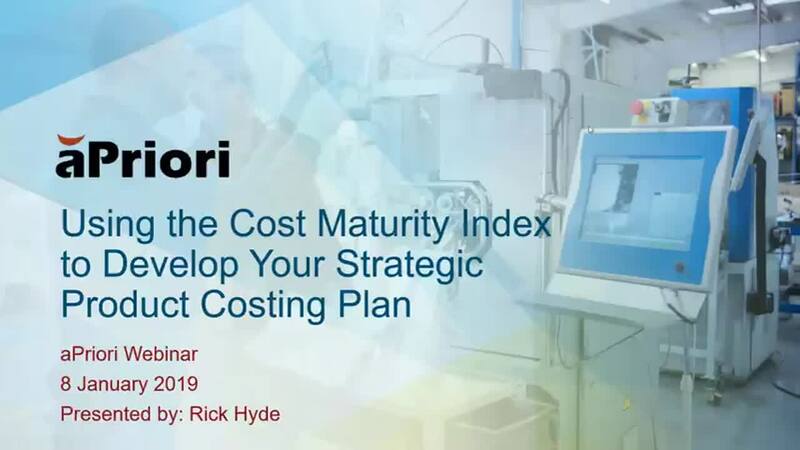 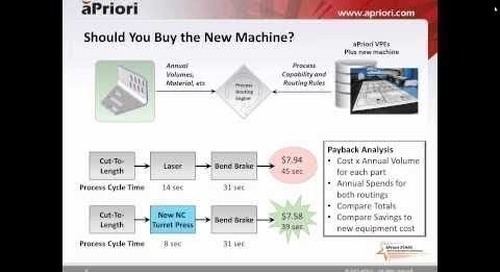 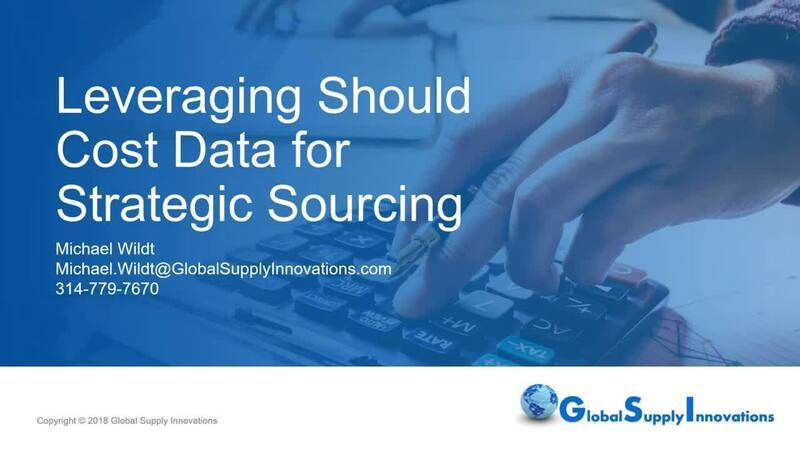 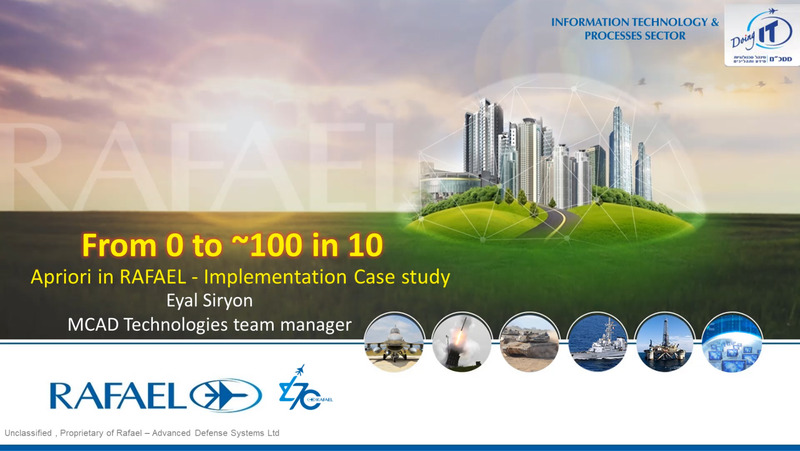 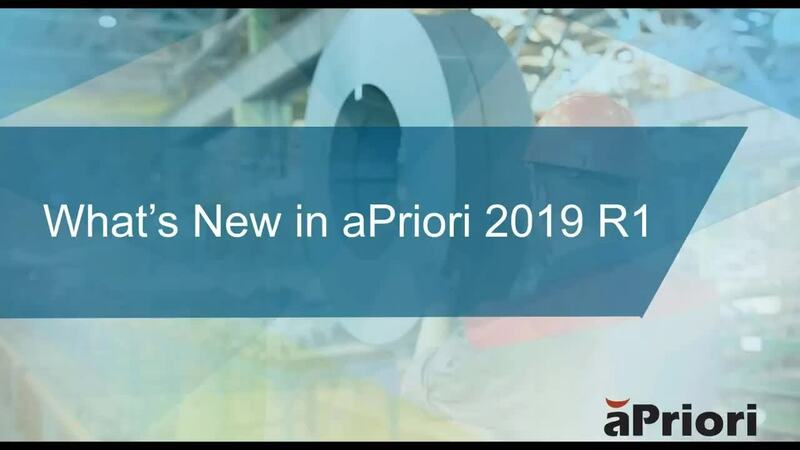 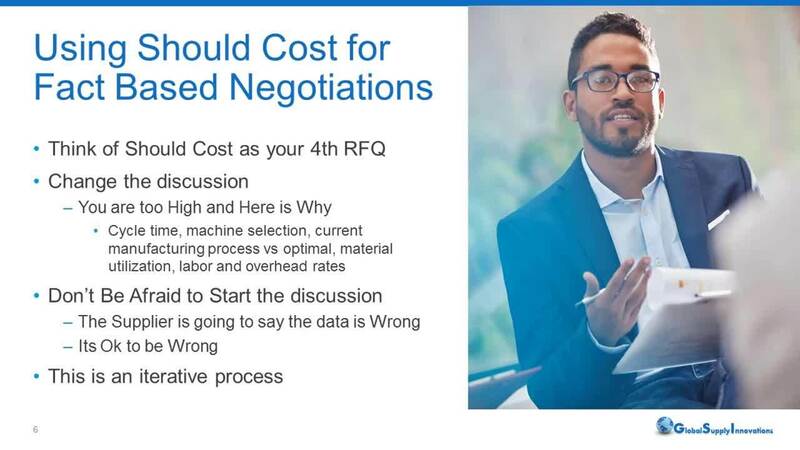 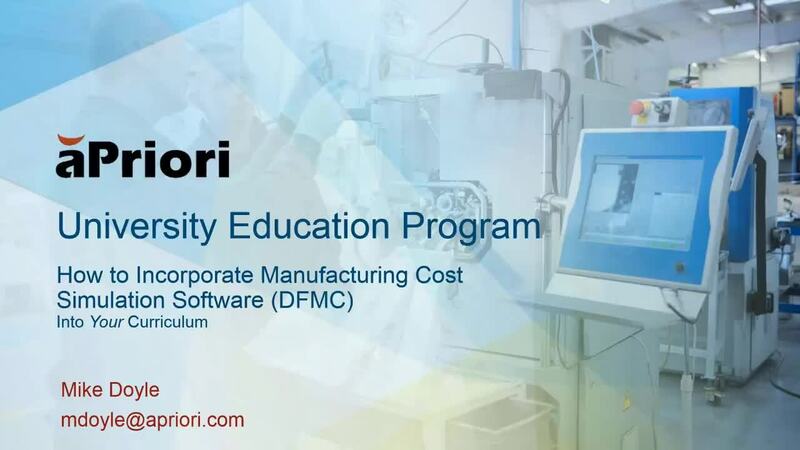 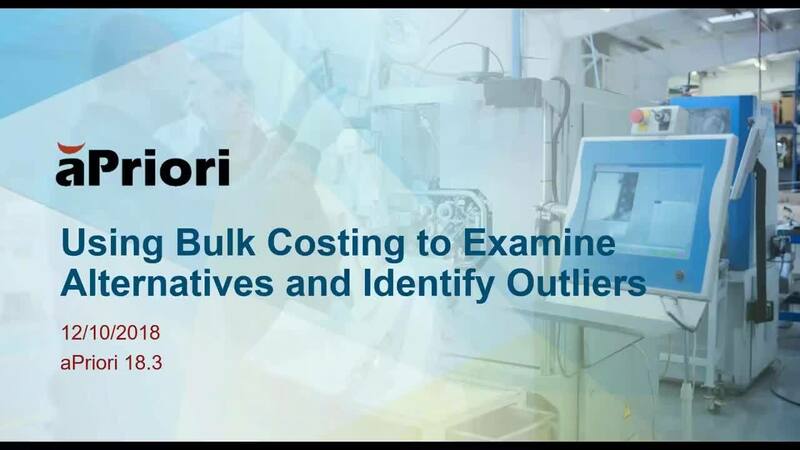 aPriori Bulk Cost and Analysis will be introduced, and we will talk about how aPriori Bulk Cost & Analysis is incorporated within the DoE workflow, how to use Bulk Cost in batch mode and how the outputs can be used to optimize product designs for cost.